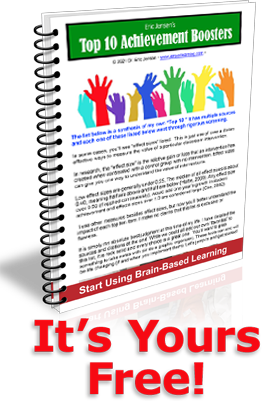 Brain-based education is best understood in three words: engagement, strategies and principles. You must engage your learners and do it with strategies that are based on real science. (I’m a big fan of cognitive science, neuroscience, psychology and other mind/brain sciences. )How reputable is brain-based education? Harvard University now has both a master’s and doctoral degrees in this field, known as the “Mind, Brain, and Education (MBE)” program. There’s also a peer-reviewed scientific journal on brain-based education. The journal, which is published quarterly by the reputable Blackwell Publishers and the International Mind, Brain, and Education Society (IMBES), features research reports, conceptual papers, reviews, debates, and dialogue. Now that I’ve reminded you that brain-based education is the “real deal” there’s one more thing. There are what you and I might call “macro strategies” and “micro strategies.” The micro strategies are very situation specific. For example, when you are giving directions, only give one a time, because the brain needs time to process the location, the action and the qualities of the action (“Go find your teammates and wait quietly at your team stations.”). I provide these in our actual workshops because they require demonstration and context to maximize the understanding and transfer. In this special report, we’ll focus on macro (the “big picture” strategies. These are the “biggies” that reap huge rewards. But you’ll need to use your own experiences to customize them for your situation. Trust me, they all are achievement boosters, so here they are. It’s confirmed: Physical Education, recess and movement support learning and are critical to education. How? We now know that we can grow new neurons through our lifetime and that they are highly correlated with memory, mood and learning. This process can be regulated by our everyday behaviors, which include exercise. The optimal activity is voluntary gross motor, such as power walks, games, running, dance, aerobics, team sports and swimming. We also now know that early childhood movement wires up the brain to make more efficient connections. That supports the later academic learning. Schools can and should influence these variables. Practical school applications: Support more, not less physical activity, recess and classroom movement. It raises the good chemicals for thinking, focus, learning and memory (noradrenaline, dopamine and cortisol). Students need 30-60 minutes per day to lower stress response, boost neurogenesis and boost learning. For the first few weeks of school, expose students to a variety of physical activities. Then, offer choice. That’s critical because voluntary activity does more good than forced activity, which may cause an overproduction of cortisol. Bruel-Jungerman E, Laroche S, Rampon C.(2005) Eur J Neurosci. New neurons in the dentate gyrus are involved in the expression of enhanced long-term memory following environmental enrichment. Jan;21(2):513-21. Pereira AC, Huddleston DE, Brickman AM, Sosunov AA, Hen R, McKhann GM, Sloan R, Gage FH, Brown TR, Small SA. (2007) An in vivo correlate of exercise-induced neurogenesis in the adult dentate gyrus. Proc Natl Acad Sci U S A. Mar 27;104(13):5638-43. It’s confirmed: Social conditions influence our brain in multiple ways we never knew before. Sociology is guided by the journal of Social Neuroscience. School behaviors are highly social experiences, which become encoded through our sense of reward, acceptance, pain, pleasure, coherence, affinity and stress. In fact, poor social conditions, isolation or social “defeat” are correlated with fewer brain cells! Nobody knew this occurred five or ten years ago. Practical school application: Do NOT allow random social groupings for more than 10-20% of the school day. Use targeted, planned, diverse social groupings with mentoring, teams and buddy systems. Work to strengthen pro-social conditions. Teacher-to-student relationships matter, as do student-to-student relationships. Citations: Champagne FA, Curley JP. (2005) How social experiences influence the brain. Curr Opin Neurobiology. Dec;15(6):704-9. The brain changes! All educators should know the brain can and does change every day. In fact every student’s brain is changing as they attend school. The ability of the brain to rewire and remap itself via neuroplasticity is profound. The new Journal of Neuroplasticity explores these and related issues. Schools can influence this process through skill building, reading, meditation, arts, career and building thinking skills that build student success. The evidence is compelling that when the correct skill-building protocol is used educators can make positive and significant changes in the brain in a short period of time. Without understanding the “rules for how our brain changes” educators can waste time and money, and students will fall through the cracks. Practical school application: give teachers a mandate of 30-90 minutes a day and 3-5x per week to upgrade student skill sets. Teach attentional skills, memory skills and processing skills. Progress requires focus, “buy-in” and at least a half hour a day. Citations: Ball K, Edwards JD, Ross LA. (2007) The impact of speed of processing training on cognitive and everyday functions. J Gerontology B Psychology Science Soc Sci.Jun;62 Spec No 1:19-31. Citations: Johnston-Brooks, C. H., Lewis, M. A., Evans, G. W., & Whalen, C. K. (1998, Sep-Oct). Chronic stress and illness in children: The role of allostatic load. Psychosomatic Medicine, 60(5):597-603. Schools are pushing “Differentiation” as a strategy to deal with the differences in learners. That’s close, but not quite the truth. In fact, instead of there being mostly “typical” students with some with “differences” the brain research tells us the opposite. Let’s find out how common it is to have a “healthy brain.” Of those who responded to the UCLA “healthy brain” student advertisement and considered themselves to be normal, only 32% passed the initial telephone screening process. Of those who qualified for the in-person health history and physical examinations, only 52% passed these screening procedures. Let me repeat: almost 90% of human brains are atypical, damaged or in some way not healthy. That does NOT mean that many students have not compensated; they have. Citations: Mazziotta JC, Woods R, Iacoboni M, Sicotte N, Yaden K, Tran M, Bean C, Kaplan J, Toga AW; (2009) The myth of the normal, average human brain–the ICBM experience: (1) subject screening and eligibility. Neuroimage. Feb 1;44(3):914-22. New evidence suggests the value of teaching content in even smaller chunk sizes. Why? The old thinking was that students could hold seven plus or minus chunks in the head as capacity for working memory. But that science is outdated. The new research says two to four chunks are more realistic. In addition to this shorter capacity for working memory, our mid- term “holding tank” for content, the hippocampus, has a limitation on how much it can hold. It is overloaded quickly, based partly on learner background and subject complexity. There are other reasons our students get overloaded quickly with content. Learning and memory consume physical resources such as glucose and our brain uses this quickly with more intense learning. Practical school application: Teachers should teach in small chunks, process the learning, and then rest the brain. Too much content taught in too small of a time span means the brain cannot process it, so we simply don’t learn it. Breaks, recess and downtime make more sense than content, content and more content. Here’s the guideline: the less background the learner has and the greater the complexity of the content, make the time chunk of content shorter (use 4-8 minutes). The greater the background knowledge, the less the complexity, the longer you can make the “input” stage (8-15 min. is acceptable). Under no condition, should there be more than 15 consecutive minutes of content input. Share this with your teachers. But share it in a small chunk, and then allow time for processing it. Citations: Gobet F, Clarkson G. (2004) Chunks in expert memory: evidence for the magical number four… or is it two? Memory. 2004 Nov;12(6):732-47. “How Arts Training Influences Cognition” Pgs. 1-10. in “Learning, Arts, and the Brain: The Dana Consortium Report on Arts and Cognition” Organized by: Gazzaniga, M., Edited by Asbury, C. and Rich, B. Published by Dana Press. New York/Washington, D.C. web access: www.dana.org. Citations: Duckworth, Angela L.1; Seligman, Martin E.P.1(2005) Self-Discipline Outdoes IQ in Predicting Academic Performance of Adolescents Psychological Science, Volume 16, Number 12, December, pp. 939-944(6). Ekman, P. (2003). Emotions Revealed. New York: Henry Holt and Co.
Ostberg V. (2003) Children in classrooms: peer status, status distribution and mental well-being. Soc Sci Med. 2003 Jan;56(1):17-29. Citations: Ball K, Edwards JD, Ross LA. (2007) The impact of speed of processing training on cognitive and everyday functions. J Gerontology B Psychol Sci Soc Sci.Jun;62 Spec No 1:19-31. The recent brain/mind discovery that even memories are not fixed but, instead, are quite malleable is powerful. Every time you retrieve a memory, it goes into a volatile, flex state in which it is temporarily easily re- organized. This is highly relevant for teachers and administrators who are responsible for student learning and classroom testing. Every time students review, they might change their memory (and often do). Yet, without review, they are less likely to recall their learning. It suggests that teachers use several strategies to continually strengthen memory over time instead of assuming that once learned, the memory is preserved. Citations: Pashler H, Rohrer D, Cepeda NJ, Carpenter SK. (2007) Enhancing learning and retarding forgetting: choices and consequences. Psychon Bull Rev. Apr;14(2):187-93. If your question was, “Are the approaches and strategies based on solid research from brain-related disciplines or are they based on myths, a well- meaning mentor teacher or from “junk science?” Now you know the answer. We would expect an educator to be able to support the use of a particular classroom strategy with a scientific reasoning or studies. Each educator ought to be professional enough to say, “Here’s why I do what I do.” I would ask: Is the person actually engaged in using what they know, or simply having knowledge about it, but not actually using it? Are they using strategies based on the science of how our brain works? Brain- based education is about the professionalism of knowing why one strategy is used over another. The science is based on what we know about how our brain works. It’s the professionalism to be research-based in one’s practices. Keep in mind that if you don’t know why you do what you do, it’s less purposeful and less professional. This is what you wanted: the science and the strategies. But how can you learn it when you have little background and very little time? Jensen Learning offers you clear, practical, cutting-edge solutions. Every one of Eric Jensen’s sock-hopping, fun-filled trainings combines clear, compelling research in easy-to-understand language with practical strategies you can implement immediately. His workshops (www.jensenlearning.com) are on topics such as engagement, poverty, differentiation and teaching strategies.